While employees continue to complain about disruptions, noise levels and privacy, tech companies and open-plan evangelists have continued to argue that this type of layout boosts the collaboration that is needed to spark innovation. This is nicer narrative than one that focuses on lower development costs and office rental fees, but is an open plan office really what’s best for a company? 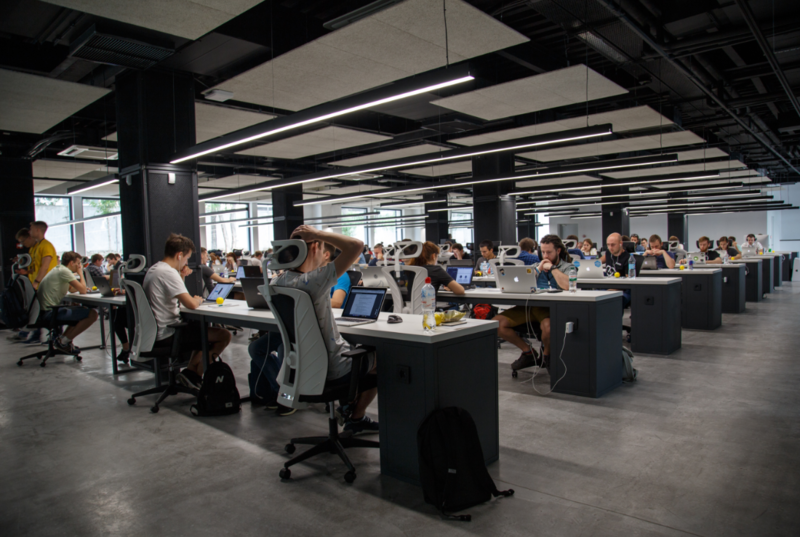 A new study from Harvard concluded that open-plan offices are a collaboration killer, which could be the start of this flooring layout dying a slow but potentially necessary death. Two Harvard researchers studied 150 employees from two Fortune 500 companies who were planning on switching to an open-plan office. The 150 participating employees were instructed to wear a sociometric badge for three weeks before and after the office redesign. This gadget recorded the employees’ location, posture and movement, as well as every conversation they had with colleagues. The number of text messages and the subjects of emails that were sent during the study period were also reviewed by the researchers. The results, which were published in Philosophical Transactions of the Royal Society B., showed that as the cubicle walls came down, the interactions among colleagues decreased and the amount of emails and text messages that were sent shot up. Face-to-face interactions between colleagues decreased by 70% and, depending on the estimation method used, email increased by 22% – 50%. “Rather than prompting increasingly vibrant face-to-face collaboration, open architecture appeared to trigger a natural human response to socially withdraw from officemates and interact instead over email and IM,” said the study’s co-authors. They wrote that people are better at rote tasks than creative ones and that when people feel they are on display, part of their mind becomes preoccupied by social pressures. Knowing that one is being watched limits a person’s creative problem-solving abilities. Spatial boundaries help people make sense of their environment by modularising it, clarifying who is watching and who isn’t, who has information and who doesn’t, and to whom one answers and to whom one does not. Some advocates of open-plan design may argue that the interaction decreased because it was time-wasting chitchat, but the data showed that it wasn’t just the quantity of collaboration that decreased but also the quality. “[In] an internal and confidential management review, [the company’s] executives reported to us that productivity, as defined by the metrics used by their internal performance management system, had declined after the redesign to eliminate spatial boundaries,” said the authors of the study. Emerging research from Griffith Business School in Australia has shown that individuals view similar work environments differently. Instead of a one-size-fits-all approach, work environments should offer a variety of options that support employees working efficiently. Evolving workplace design models are looking at ways to incorporate different zones for different types of work within a commercial office space. We look forward to see how flooring products and designs will continue to evolve to meet the changing layouts of the offices of the future. Full thanks and acknowledgement are given to www.anzam.org, www.inc.com and www.qz.com for some of the information contained in this article.